Do yellow sub-pixels really make for a better picture? 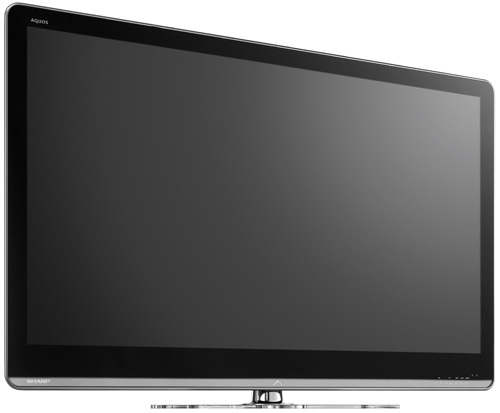 Review While the rest of the TV industry goes romping off into the third dimension, Sharp has decided to do its own thing by focusing instead on the "fourth pixel". The "Quattron" technology in its new range of Aquos-brand LCD sets gives them yellow pixels in addition to the standard red, green and blue primary colours. Sharp Aquos LC-46LE821E: pick of the pixels? Sharp claims that this "quad-pixel" design produces a wider range of colours than conventional RGB models, resulting in a brighter and more realistic picture. The Aquos is certainly striking to look at – even before you’ve turned it on. I was able to test the 46in model in the LE821 series, which measures only about 37.5mm thick and is finished off with neat silver trim. I also liked the translucent panel that runs along the bottom edge of the screen and glows as you press the touch-sensitive controls on the panel. Sharp quoted a price of £1999, although I’ve seen it selling for £1600 on the net. There’s also a 40in model priced at £1599, and a 52in model on the way soon, as yet un-priced. Apart from the yellow pixel, the 46LE821E is a standard HD television. 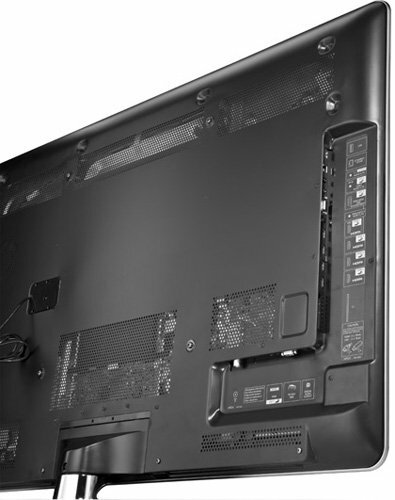 It provides 1080p full HD resolution, with 100Hz refresh and panel-edge LED backlighting. There are four HDMI connectors on the left-hand edge of the unit, along with single Scart and RGB inputs, headphone and digital audio outputs, a USB port, CI slot, VGA connector for a PC, and an Ethernet interface. Short weekend break: Skegness or exoplanet HD 189733b?